Often time there is a general misconception that the God of Islam is one of wrath and anger. There is a false image of God as being some Greek God of wrath seeking to hurt and harm those who disobey Him. 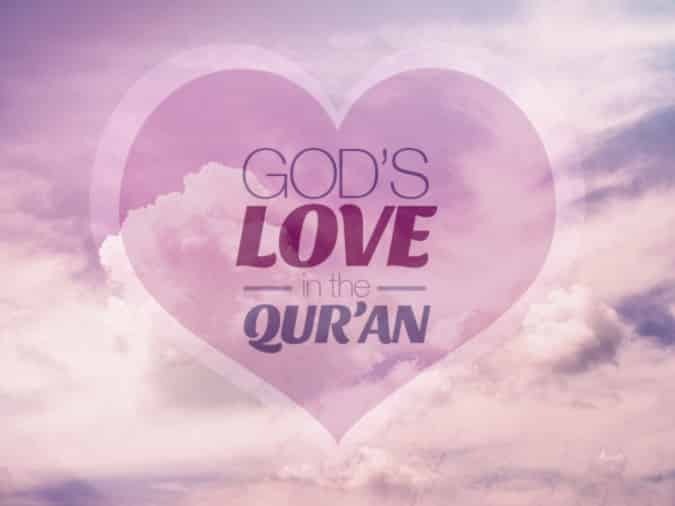 This article will highlight the concept of God’s love in the Qurʾān and Islamic tradition. Every chapter in the Quran begins with “In the name of Allah the Rahman the Raheem” The terms Rahman and Raheem are often mistranslated as Merciful or Compassionate and these are not accurate translations. The problem with the term mercy is that it implies that one has the power to punish but withholds themselves. It implies that one has the power to harm but does not, and it is often used in the context of having mercy on one’s enemies. The names Rahman and Raheem stem from the root letters r-h-m. These are the same root letters which the word rahim comes from. A rahim is a womb, and the names of God Rahman and Raheem connote a motherly love. No one would describe a mother’s love as mercy, but they would use terms like loving, caring, selfless, compassionate, and empathetic. Umar ibn al-Khattab relates once being with the Prophet with a group of women and children detained after a battle. One woman among them was searching for her child. Whenever she saw her child, she took the child to her bosom and began breastfeeding it. The Messenger asked his companions, “Do you think this woman would throw her child into the fire?” They said, “No, by Allah, unless she has no power otherwise.” He replied, “Allah has more rahmah (arham) for His servants than this woman for her child” (Muslim). In another narration, the Prophet peace be upon him used to play with his grandchildren and then said: “O Allah, have rahmah for them (irhamhuma) as I have rahmah for them (arhamuhuma).” (Bukhari). A Bedouin in the time of the Prophet peace be upon him saw the Prophet kissing his grandchildren. In the patriarchal context of Arabia, the man said to the Prophet, “I have ten children and never kissed one of them” implying that it was not befitting of a man to show love. The Prophet replied, “What can I do for you if Allah removed rahmah from your heart?” (Bukhari). The Qurʾān mentions two kinds of love, one is rahma and the second is hub. Allah has rahma on everything and everyone: My rahma has encompassed everything (Qurʾān 7:157). God has this level of love for all his creation. That is why He provides provision for everyone, even those who disbelieve in Him. Despite our sins, He gives us food, air, shelter, health, and life. This is why the Qurʾān often refers to rain as rahma. And were Allah to punish men for what they earn, He would not leave on the back of it any creature (Qurʾān 35:45). In Islam, God has 99 names. It is particularly interesting that He chose to open each chapter in the Qurʾān by reminding the reader of only two of his names, Rahman and Raheem. First impressions are extremely important and leave a lasting impression on people. Therefore, when God introduces Himself in the first chapter of the Qurʾān the names Rahman and Raheem appear four times in only seven verses. God could have chosen any other name, but He wants the reader to know that He is loving, compassionate, forgiving, and always willing to accept you back no matter how many mistakes you make. The second level of love is hub. This love is reserved for those who obey God. There is not a single place in the Qurʾān that says Allah hates (yakrah) anyone. It only says that Allah does not have hub for certain types of people such as oppressors, arrogant people, and liars. To attain this level of love one must obey God and follow His teachings. Say, ‘If you love God, follow me, and God will love you and forgive you your sins; God is most forgiving, most raheem.’ (Qurʾān 3:31). The following verse reads Say: Obey Allah and the Messenger But if they turn away, then Allah does not have hub for those who disbelieve (Qurʾān 3:32). This does not mean that love is the only meaning of rahma and hub. Both these words are much richer than the English term love. However, the notion that the God of the Qurʾān is not one of love is inaccurate. Allah is loving, compassionate, and gives people hope. He is not a God who is out to punish: Why should God make you suffer torment if you are thankful and believe in Him? God always rewards gratitude and He knows everything. (Qurʾān 4:147).